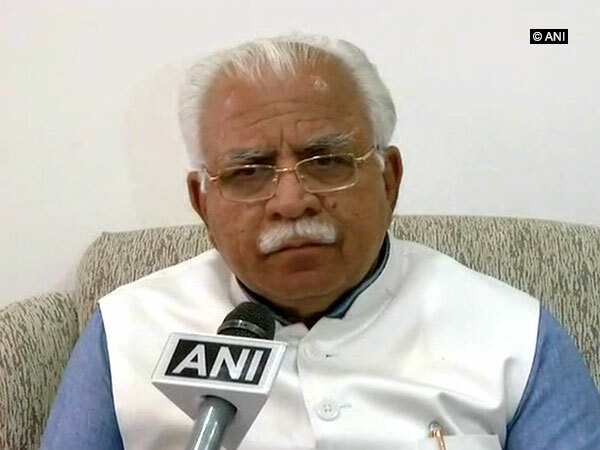 Chandigarh, 06 May 2018 [Fik/News Sources]: Haryana Chief Minister Manohar Lal Khattar on Sunday backed the members of right-wing Hindu groups, who allegedly prevented people from offering namaz at open spaces in Gurugram. Addressing the media here, the Haryana Chief Minister said that there was a considerable rise in people offering namaz in open, which should be read in Mosques or Idgahs. “It is our duty to maintain law and order. There has been an increase in offering namaz in open. Namaz should be read in Mosques or Idgahs rather than public spaces,” Khattar said. As per reports, Hindutva outfits visited at least ten places of Gurugram where namaz was offered every Friday and allegedly allegedly disrupted the Muslim prayers and prevented people from doing so. Six persons were arrested after an FIR was filed for allegedly threatening those offering prayers.